This fall, Progressions officially launched its fourth site, an advanced track at Bridges Academy. It includes participants who have been a part of Progressions for three-plus years, bringing together 20 students from Meadows Elementary School, Santee Elementary School, Bridges Academy, CCA (College Connection Academy) and Ace Franklin-McKinley. Instrumentation for the new track includes saxophone and baritone (in addition to the existing clarinet, flute, trombone and trumpet). We look forward to seeing how the new instruments enhance the already stellar sound of our ensemble! 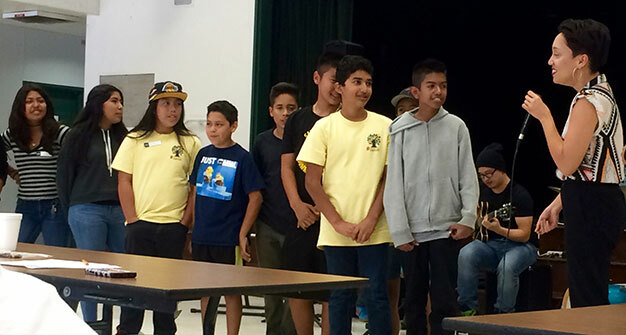 San Jose Jazz had a chance to offer a taste of Progressions to Franklin-McKinley School District board members when students from Kennedy and the advanced track performed for their October 25 board meeting at Kennedy. Also look for Kennedy updates later this month, as Kennedy students are doing a make-your-own-instrument unit with instructor Oscar Pangilinan that explores the origins of sound. It will culminate in Progressions participation in a school-wide STEM exhibition on Thursday, November 17. 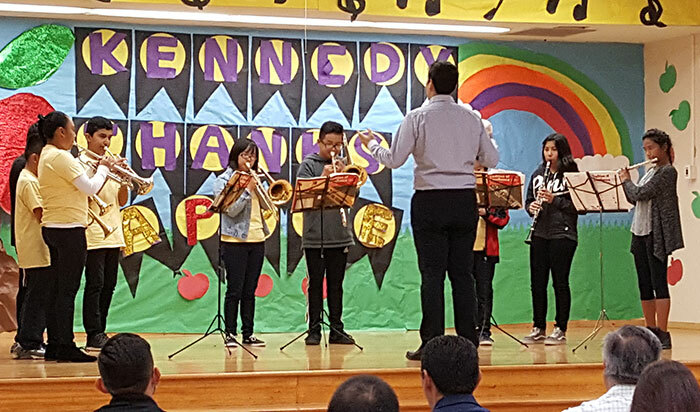 This unit is part of ongoing efforts at Kennedy to help students understand how music connects to other academic areas. 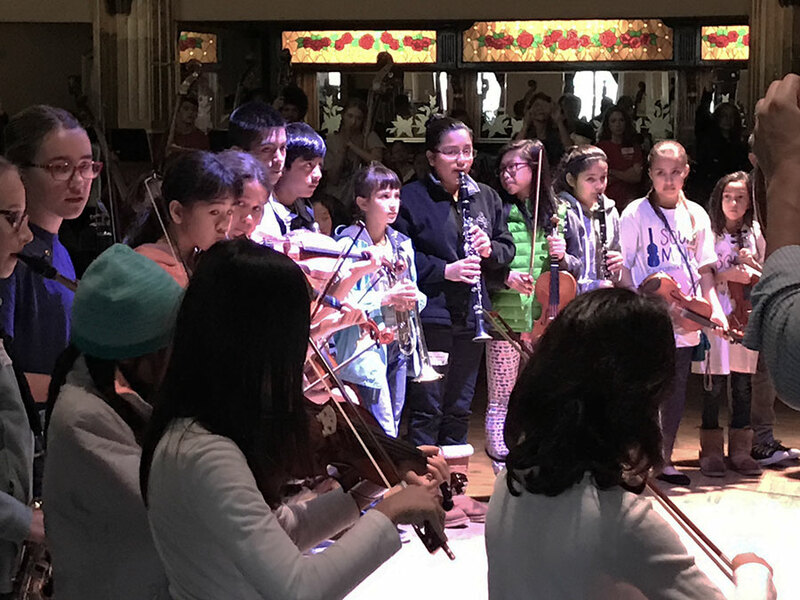 Thirteen students from the Bridges advanced track participated in an educational event in Oakland with students from 10 other Northern California El Sistema programs as part of a Bay Area collaboration funded by Cal Performances on October 30. The highlight of the day was a side-by-side rehearsal of a portion of Bernstein’s Candide Overture with members of the Oakland School of the Arts. Later in the afternoon, Progressions families attended a family concert featuring the Youth Orchestra Los Angeles (YOLA) at the Paramount Theatre under the direction of Gustavo Dudamel. Dudamel is a product El Sistema, a now world-famous program in Venezuela that uses music to achieve social change, and has been a strong advocate of programs like Progressions. The concert was part of a 10th anniversary tour for YOLA. 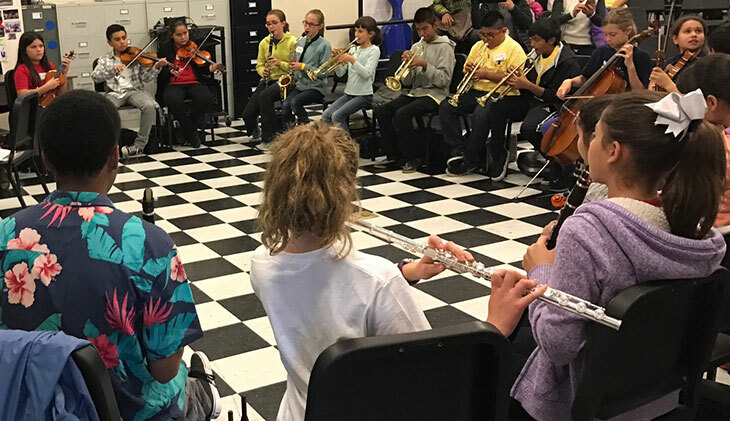 On Halloween, San Jose Jazz brought local music group Sabrosito to Santee Elementary, and Progressions intermediate students served as the opening act. The live performance helped create a celebratory atmosphere for the Santee Fall Harvest Festival, where Progressions instructors hosted a games booth. Progressions also updated our program-wide curriculum. We have added weekly mentor time, which gives both teachers and students the chance to establish trust by developing more informal personal connections. A portion of the curriculum is based on the Progressions core values: TRACK – teamwork, respect accountability, creativity and knowledge. 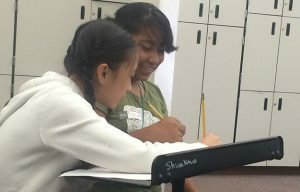 Teachers are already reporting that the new format has provided valuable time for them to connect and learn more about the motivations, hopes and aspirations of students, all of which will ultimately help deepen student commitment to the program and further develop their musicianship skills. To date, Progressions has hosted two Nucleos (our Saturday educational workshops that bring together students from multiple sites and focus on a discrete musical concept). 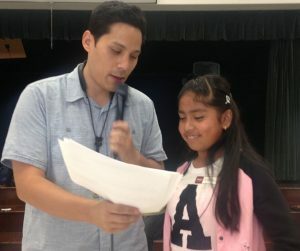 On September 24, Progressions instructor Oscar Pangilinan and vocalist Amy Dabalos led a songwriting workshop at Bridges Academy that included a live performance by members of local group The Bad Ones. Thanks to members of the band for volunteering their time and talents early on a Saturday morning! With 40 students in attendance, the event was a success! Then on October 22, Progressions instructor Veronica Christie led a workshop that introduced students to constructive peer feedback using a “two stars and a wish” format. 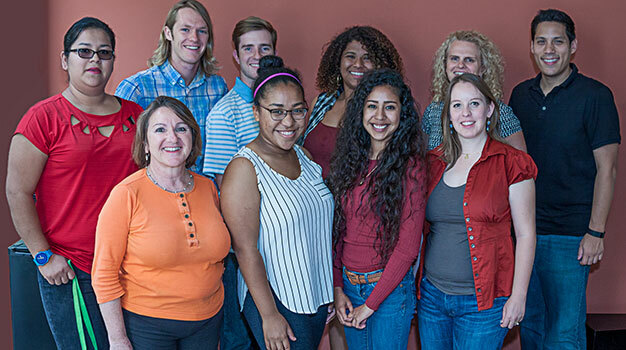 Lastly, we are pleased to welcome several new members to the Progressions team! Betsy Stern is our new general music teacher at Santee and Meadows. She brings a wealth of experience teaching general music to our youngest students, and is a regular gigging musician with a strong background in jazz. Additionally, we have three new students on the team, Brendan Carroll, Lidia Rodriguez and Joy Hackett. All three are in the SJSU School of Music and Dance. 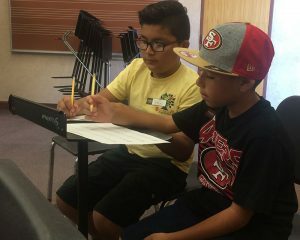 Carroll and Rodriguez play saxophone and are teaching beginning and intermediate woodwinds, as well as the new Progressions electives wheel that includes music fundamentals, project-based learning and bucket drumming. Joy Hackett is a former Summer Jazz Camper and member of HSAS, and serves as the new After-School Coordinator at Santee. She is joined by SCU students Fernando Guinto and Alejandro Flores, the new After-School Coordinators at Meadows and Kennedy. If you have not seen Progressions in action yet, please join us at Christmas in the Park on Thursday, December 15 at 7 pm for a staff/student holiday performance! Progressions staff members. Photo courtesy of Walter Wagner.